Long Lake Splash-In Camp-In Registration. Registration is on a per-airplane basis. It is not on a per person basis. Registration fee can be applied towards food. The 2016 Long Lake Splash-In Camp-In is the weekend of August 19th through August 21st. This event is being held at the same time at the AOPA Regional Fly-in at nearby Bremerton Airport (KPWT) so you can enjoy both events. We have room for 20 Seaplanes moored, docked or beached, and room for 20 camping tent spots. A registration fee for planes is required. It can be used as credit towards food for your party. A BBQ Saturday night is planned at Long Lake for up to 200 people. We need a headcount well in advance, so please sign up and tell us how many are in your party. Dinner Friday will be at the Bremerton Airport (KPWT) AOPA fly-in. Please register separately with AOPA for that event. 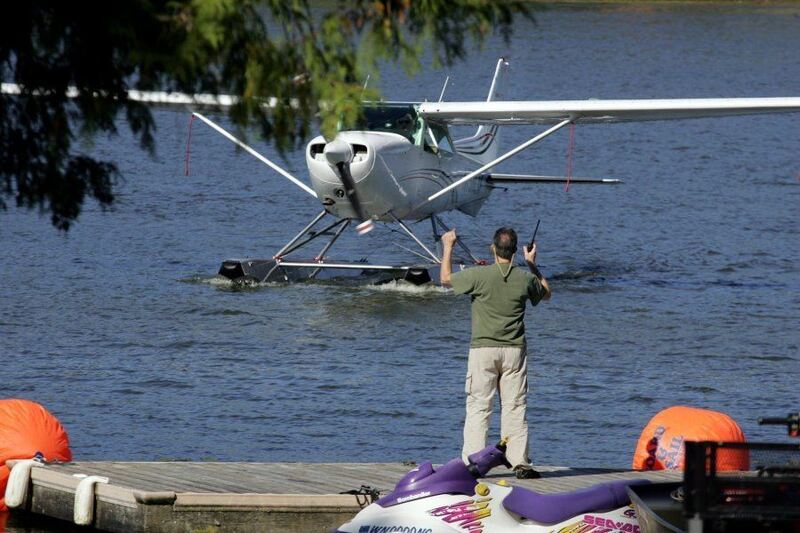 The Long Lake Splash-In Camp-In is hosted by Washington Seaplane Pilots Association (WSPA). We will ask for donations to cover costs of food, toilet facilities and so on. Be prepared to donate.